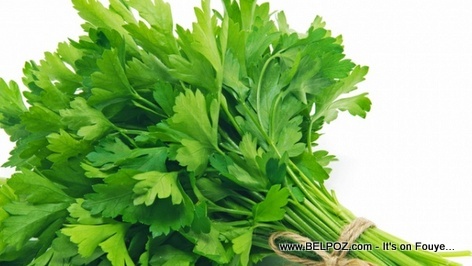 Parsley, something that my Haitian mother uses as a spice in the kitchen, is excellent for overcoming anemia. Parsley contains a high concentration of iron; keep in mind one common type of anemia is iron deficiency anemia, a condition where you blood doesn't have an adequate amount of red blood cells. Note: Your red blood cells is what carries oxygen to cells in your body. So if you have a juicer at home, consider adding a bit of parsley to that power juice you make to help you fight anemia. « Do you Recognize all the Haitian Artists in this Photo?